From just one three-week pilot “Compassion” campaign in 2006, more than 17,000 people volunteered and packed 4.2 million meals. Water filtration systems and wells made safe drinking water available to 200,000 people on a regular basis. By harnessing the power of story, this three-week initiative has run annually for nine years providing meals, water, sustainable gardens, shelter, and education for girls in under-resourced areas globally. One of the ways to help break the cycle of poverty is food security. 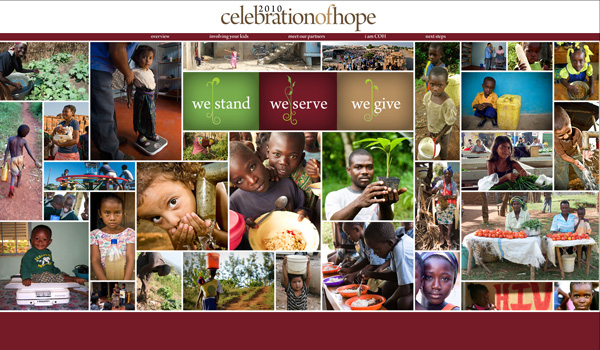 The 2010 Celebration of Hope featured providing seed to those in poverty in Africa. 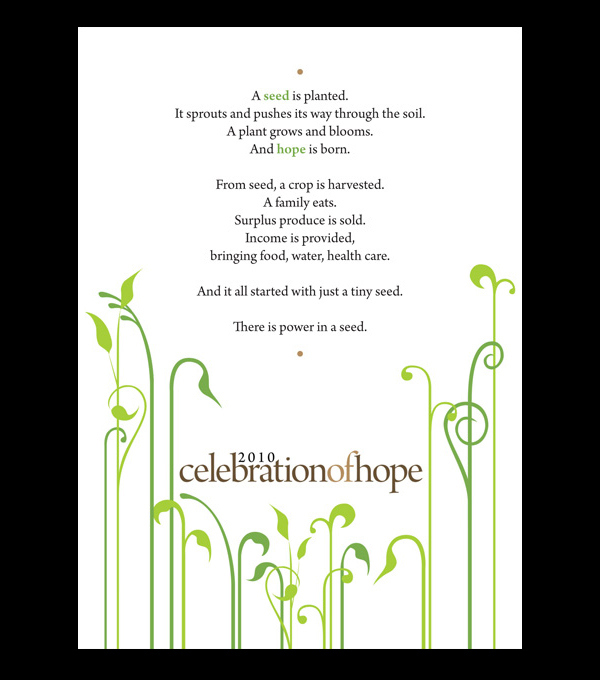 The seed allowed them to grow gardens for their own food but also to sell as a means of income.